Lapointe, Pierre Louis. "Rock Forest". The Canadian Encyclopedia, 17 July 2015, Historica Canada. https://www.thecanadianencyclopedia.ca/en/article/rock-forest. Accessed 24 April 2019. Rock Forest was first settled by immigrants of English, Irish and Scottish origin who had bought land from the BRITISH AMERICAN LAND COMPANY. They founded a village called Drop Off, at a small waterfall on Rivière Magog, close to today's old village centre. 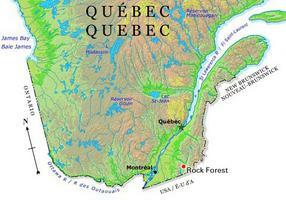 Rock Forest, Qué, City, pop 18 667 (2001c), 16 604 (1996c), 14 551 (1991c), area 48.22 km2, inc 1983, is a suburban city of SHERBROOKE, lying 11 km to the west of that city, straddling the Rivière Magog. Rock Forest was first settled by immigrants of English, Irish and Scottish origin who had bought land from the BRITISH AMERICAN LAND COMPANY. They founded a village called Drop Off, at a small waterfall on Rivière Magog, close to today's old village centre. In 1870, an Irishman by the name of Parker Nagle changed the name to Rock Forest, after a castle he had supposedly owned in Ireland. The British population was soon overtaken by an influx of French Canadians in the late 1800s. 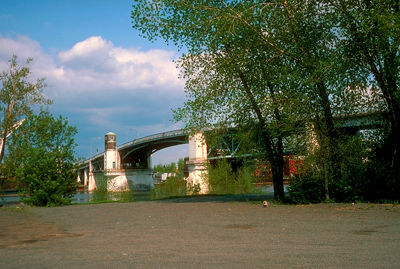 Since the 1970s, growth of the Sherbrooke area has in turn led to the rapid increase of the Rock Forest residential population. This once predominately agricultural community is now mainly residential in nature. Some of its rural character has remained.